With all due respect, T.S. Elliott didn’t know what he was talking about. Not only is April the month of my birth, the first month of consistent spring weather and the long-overdue return of baseball, but this particular April has a number of media releases I’m eagerly anticipating. First up is the introduction of the HBO television series “Game of Thrones,” based on George R.R. Martin’s fantasy book. Martin’s been called the “American Tolkien,” but it might be more telling to call him a 21st-century Tolkien (for all that the first book was published in 1996). Plenty of people have noted the rise over the past decade of dark, morally ambiguous stories against the simpler morality plays of the past, and compared to Tolkien’s heroic magnum opus, Martin oozes dark and morally ambiguous. I won’t spoil anything for the uninitiated, but over his sprawling series, good people do terrible things, bad people do virtuous things, and success one day is no proof against the sudden reversal the next. And for all that Martin’s work is ostensibly fantasy, it’s light on magic and elves and heavy on the mud and muck of late-medieval Europe – the real Europe, and not the idealized Renaissance Faire version. Just a week after the April 17 debut of “Game of Thrones,” the BBC unveils the newest season of it’s long-running science fiction series, “Doctor Who.” A mass-market cultural icon in Britain, the Doctor is hardly known stateside, relegated to the province of geeks. Well, I’m a longtime resident of that province, and in the absence of a tourism bureau let me just say that the return of “Doctor Who” is the perfect time to visit. 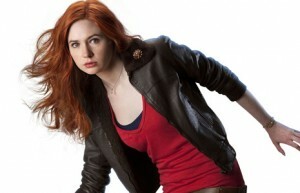 The core appeal of “Doctor Who” is its main character, a nameless alien who goes by the appellation of The Doctor. Largely (but not entirely) pacifistic, the Doctor scoots around space and time in a stolen time machine famously stuck (due to a broken “chameleon circuit”) in the shape of an old-fashioned British police box. Most of the other famous characteristics of “Doctor Who” are simple expedience. His time machine looks like a police box because it’s cheaper than coming up with a new exterior every time the Doctor arrives in a new setting (particularly when the series was created in the 1960s.) He travels through time with “companions,” usually humans from present-day earth, as a way to bring audience surrogates along (as well as attractive female actresses to counterbalance the so-far-always male Doctor). The Doctor’s time machine, called a TARDIS, lets the BBC set each episode in a different time and place (about half the episodes are “historical,” often reutilizing the sets and outfits from BBC costume dramas). And the most well-known trait of the Doctor’s alien race, the Time Lords, is the most convenient of all: when a Time Lord dies, he or she can “regenerate” into a new body – providing the series a convenient way to fill the role with new actors. 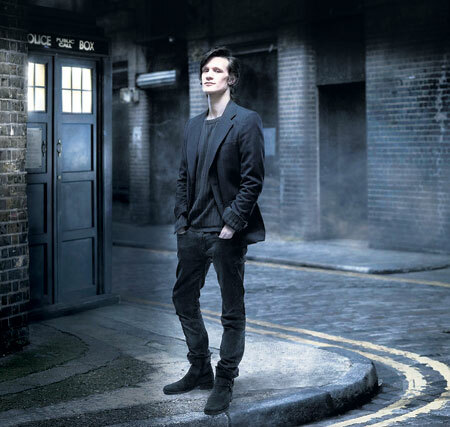 The current Doctor, Matt Smith, is the 11th to play the role. “Doctor Who” can degenerate into camp sometimes, even today, when the series has a vastly larger budget than its 1970s heyday, where sets were little more than dressed-up quarries and monsters were just men in rubber suits. But the writing is consistently top-notch – watch Moffat’s 2007 episode “Blink,” a 45-minute horror piece that stands alone as a brilliant work even for someone with no knowledge of “Doctor Who” – with fantasy author Neil Gaiman (“Coraline,” “American Gods,” “Sandman”) contributing an episode this season. Before I get to the third and final April release I’m anticipating, I want to say in my defense that my interests do extend far beyond genre science fiction and fantasy, though I am fond of both. I flipped through the month’s movie releases looking for a general release picture I could preview – only to find that Oscar-bait “Hop” aside, the only movie that looked good coming out this month was “Source Code,” which is, naturally, a science fiction movie. I’m indulging a bit of a 17th-century history kick at the moment, but that’s not based on any new releases. So given my third feature here, feel free to judge me as a man of narrow tastes. Whereas both “Game of Thrones” and “Doctor Who” are, to varying degrees, big-budget, mass-market phenomena, the next is on here for a very personal reason: I know the author. Liane Merciel’s second fantasy novel, “Heaven’s Needle,” comes out April 26. I helped proofread a draft copy of the novel, and for fellow residents of the geek province, it’s a great read – dark fantasy, with strong horror overtones. 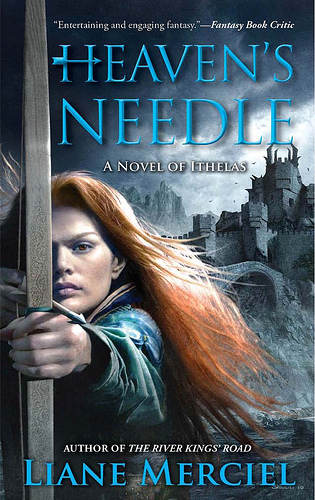 Liane’s best strength as an author are her villains, and “Heaven’s Needle” plays to this by forcing her heroes into an unholy alliance with a truly sadistic fellow. That’s about all the credit I deserve – neither my fiction-writing ability nor my attention span match up to Liane’s; she wrote both books in her spare time while also practicing law. That was so exhausting, she says she wants nothing to do with writing another novel for a good long time. I’m selfishly hoping that “Heaven’s Needle” is enough of a success that she gets tempted back to write another.